The artwork for Series 8 of The Fourth Doctor Adventures has now been released. 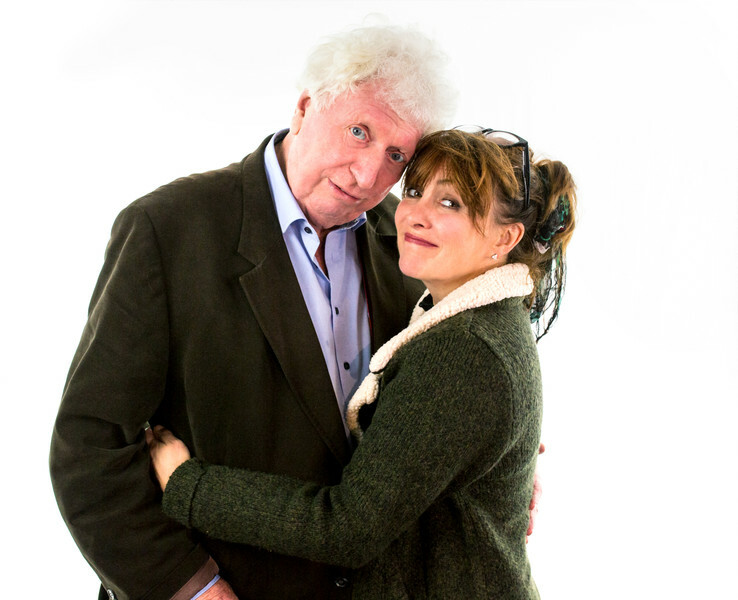 The Fourth Doctor is getting a new companion - but is he ready for her? Plus there's Ada Lovelace and the return of the Drashigs in The Syndicate Master Plan Volumes 1 and 2. The artwork for the eighth series of the Fourth Doctor Adventures is out now. 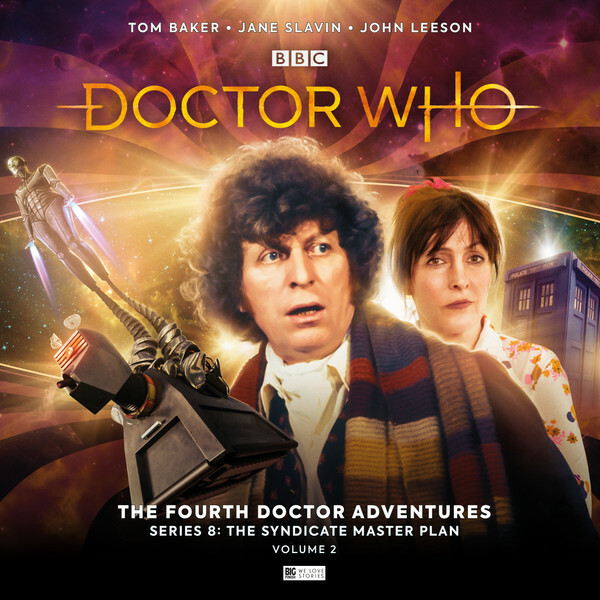 The Fourth Doctor Adventures Series 8: The Syndicate Master Plan starts with The Sinestran Kill by Andrew Smith, in which aliens have become involved in the London crime scene in 1978. Frank Skinner (Mummy on the Orient Express, Callan) plays DCI Scott Neilson while Glynis Barber (Blake’s 7) is Kathy Blake. New companion Ann Kelso takes a trip into history in The Enchantress of Numbers by Simon Barnard and Paul Morris, as she and the Doctor meet Ada Lovelace (Finty Williams), the daughter of Lord Byron and a Victorian computer pioneer. But what are the bird-masked strangers that are stalking the local village? Ann’s first trip into space then takes her to the Planet of the Drashigs, where writer Phil Mulryne throws the Doctor, Ann and K9 into a theme park where different species of Drashigs are about to run wild. Fenella Woolgar (The Unicorn and the Wasp) plays Vanessa Seaborne. The box set ends with The False Guardian, which leads into the Fourth Doctor Series Eight Volume 2’s first adventure Time’s Assassin. Both scripts written by Guy Adams, and guest starring John Shrapnel, Blake Ritson and Jon Culshaw. “Part of the excitement of Doctor Who is the secrecy surrounding everything,’ says Jane, “For about a year now I've wanted to tweet, ‘K9 called me Mistress!’ We had to be so secretive I didn't know what I was doing myself until about two weeks before we recorded the first episode. 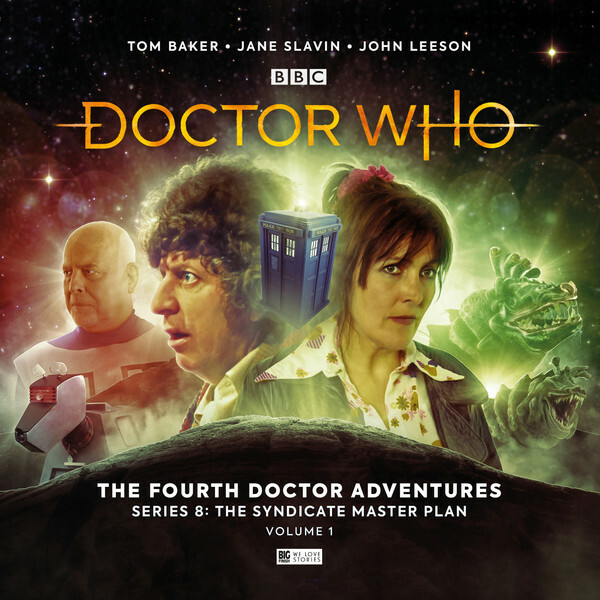 The Fourth Doctor Adventures – Series 8: The Syndicate Master Plan is available for pre-order now, with two volumes available on CD at £25 or on download at £20. Don’t forget that all CD purchases unlock a download option on the Big Finish website or the Big Finish app. All of these Fourth Doctor tales will also be available for purchase individually after release on download at £8.99 each. Or you can save money with a bundle: get Series 8: Volumes 1 and 2 together at £45 on CD or £40 on download. Don’t forget, straight after Series 8 a new volume of Fourth Doctor adventures will be released, with the Comic Strip Adaptations. These two epic stories will be released in March 2019 as a 5-disc CD box set for £23 or on download at £20 from www.bigfinish.com.